Armed with a New Year’s resolution to actually make and stick to a budget, I spent the first few months of the year high-fiving myself for follow-through. But then my membership auto-renewed for a professional association I’m part of, and I realized I hadn’t stuck a line item for that $100/year anywhere in my budget. The next month, I got a speeding ticket (ouch). The $35 fine wasn’t an enormous sum, but it was another head scratcher when I sat down to log that expense into my monthly budget. Turns out, looking back over the past two or three months when making my monthly budget didn't give me the full picture. 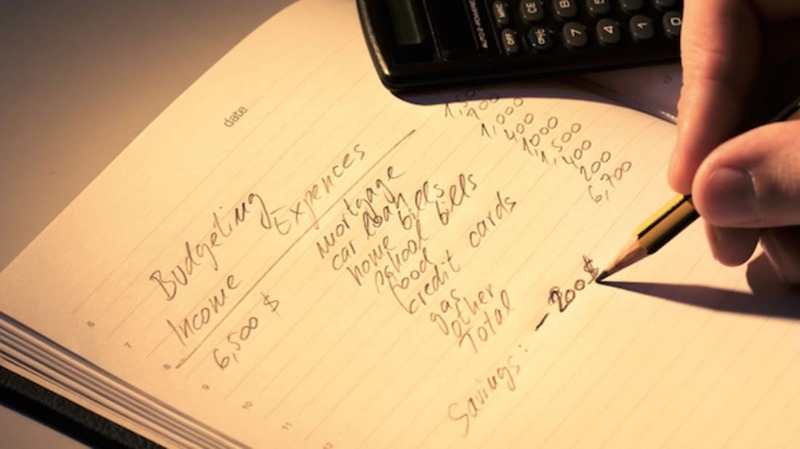 To get the best sense of your budget, scan back over the past year, suggests Cathy Derus, CPA, a financial planner and founder of Brightwater Financial. “You’ll notice surprise expenses that might not pop up in a shorter review—but that you still want to save for, to keep your budget on track,” she says. Set up your budget in the winter, and you might not have wedding season on your radar. But come spring, it might feel like every other weekend is spent traveling to a friend or family member’s ceremony. One in five weddings are now destination events, which means you may have to spend a small fortune to attend. But even if you’re not headed to Hawaii, you might want to brace yourself for surprise travel costs, like a hotel stay and gas. Last year, almost half of couples were married 200 miles or more from where they live, according to a recent survey by The Knot. “And don’t forget the bevy of expenses related to pre-wedding events, like engagement parties and bachelor or bachelorette outings,” says Derus. Your monthly gym bill is easy to remember, but less so the payments you fork over just once a year. Before you consider your budget complete, think through all of your media subscriptions (magazines, newspapers, Netflix, Hulu), retail memberships (Costco, Amazon), and social and professional groups you might be a part of. They can easily total hundreds of bucks—and catch you unaware. You plan for pet food and routine check-ups, but what about when your pet needs an unexpected vet visit? Or when you need to board your beagle for a long weekend while you visit your parents (or head to one of those aforementioned weddings)? According to a survey by the American Pet Products Association, the average dog owner spends $551 a year for surgical vet visits and another $333 each year on boarding. For cat-lovers, the numbers are better—but only slightly. Feline companions set owners back, on average, $398 for surgical visits and $130 for boarding. Kicking in $20 for a coworker’s charity walk. Tossing $10 into the office pool for someone else’s birthday drinks after work. Paying your $15 portion of an expectant coworker’s new baby gift. Money that you spend to keep the peace and seem social at work falls into that weird gray zone between social expenses and professional obligation. But no matter how begrudgingly you hand over the cash, it needs to be accounted for somewhere in your budget. You’ve got the mortgage, property taxes, and homeowner’s insurance down cold? Great. “But don’t forget about the unexpected times that the plumber, electrician, HVAC guy, or repairman is going to have to come out to fix something you had no warning was going to break,” says Derus. That might mean a $125 bill one month, and $3,000 another—not exactly easy to work into a monthly budget. “One way to handle this is to set up monthly automatic transfers to a sub-savings account specifically earmarked for home repair,” she says. “That way, when the surprise expense hits, the money will be there.” One easy rule of thumb is to set aside 1 percent of the home’s purchase price for repairs. For a $300,000 home, that means saving $3,000 a year—or $250 in your monthly budget.